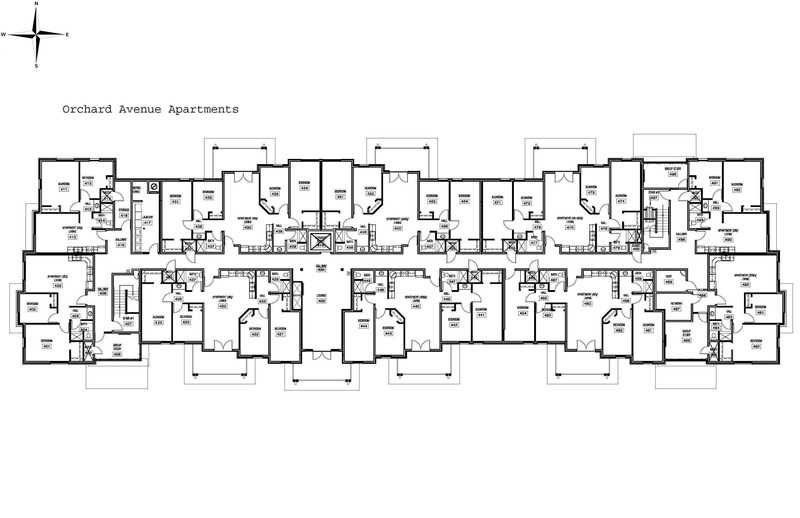 Orchard Apartments | Colorado Mesa Univ. 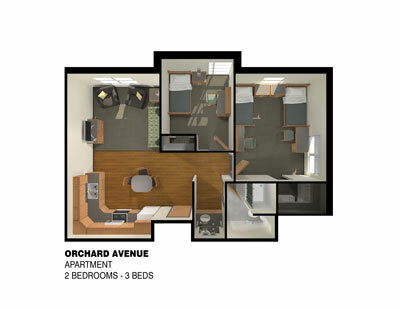 Orchard Avenue Hall contains coed apartments that house 184 sophomores, upperclassmen and transfer students. 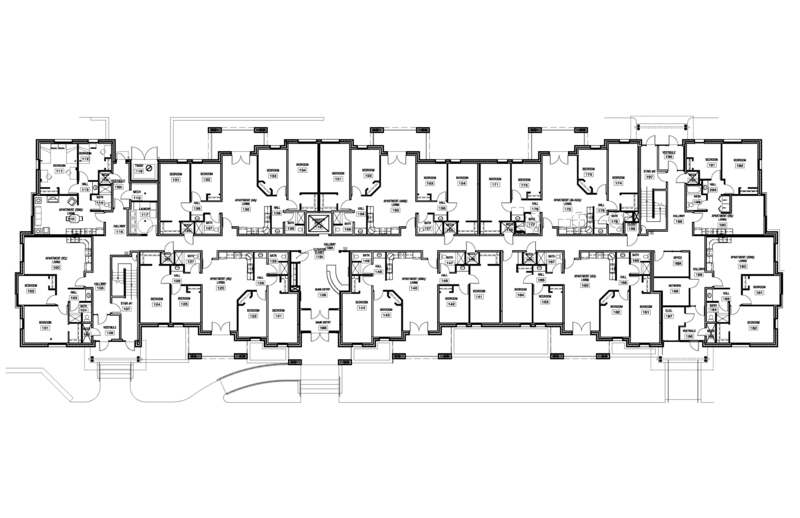 Orchard Avenue Hall is configured in three-bed and six-bed apartments. 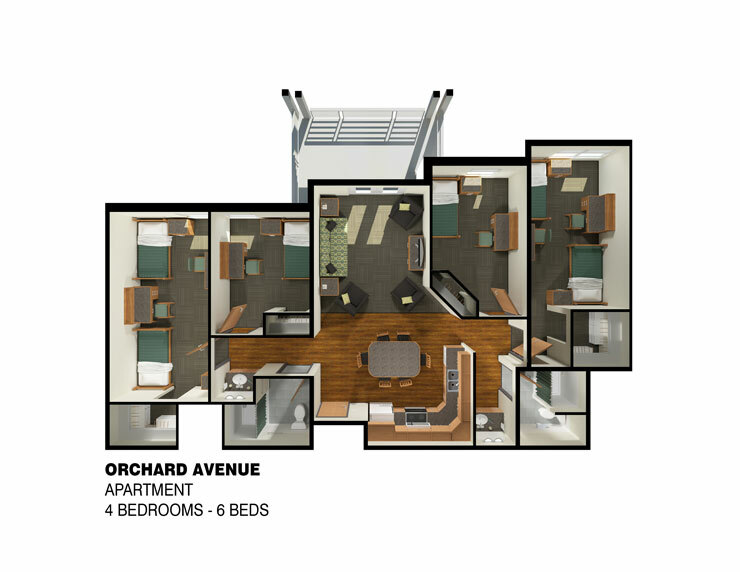 Orchard Avenue offers study lounges, a computer lab and free laundry rooms on every floor. A student-staffed front desk is also provided for your security and convenience. A minimum cumulative GPA of 2.5 is required to live in Orchard Avenue. 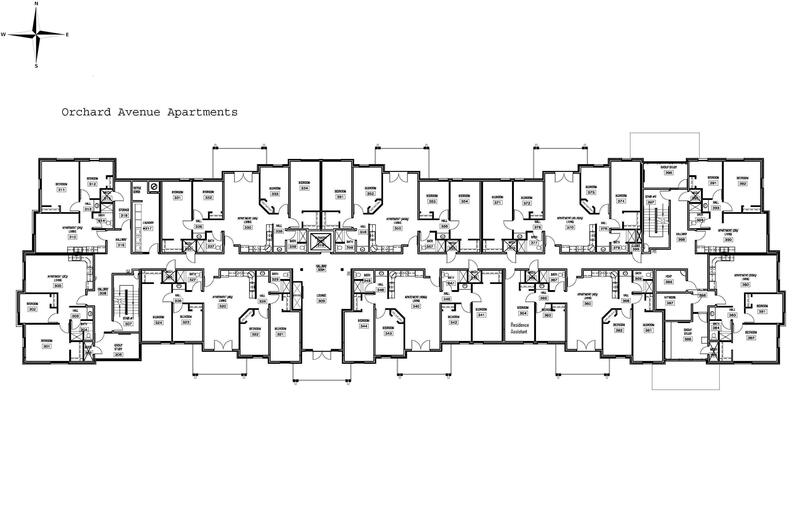 Each apartment includes a furnished living area with a 42 " LCD television, one full bathroom and one sink/vanity area in the three-bed apartments, two full bathrooms and two sink/vanity areas in the six-bed apartments, one or two double rooms and one or two single rooms depending on the apartment, and a full kitchen including a full-size refrigerator, dishwasher and microwave. The rooms are furnished with carpet and moveable furniture including beds, closets, desks, and desk chairs.